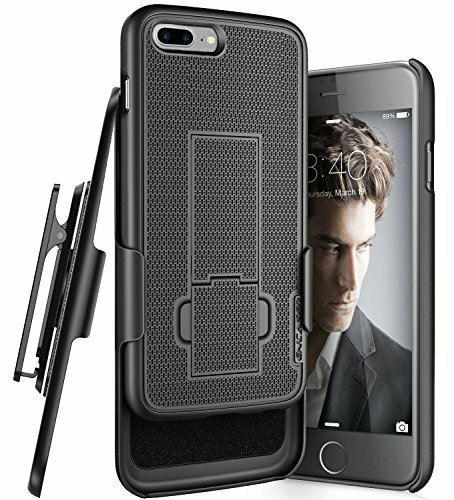 The DuraClip holster set is a slim iPhone 8 Plus belt case built with attention to detail. One of our best selling belt cases, the set features a solid-core polycarbonate frame and non-slip rubberized grip finish. Inside the clip a soft microfiber lining adds protection for the inward facing screen while the holster keeps your phone conveniently at your side. Designed to perfectly align with the contours of the phone, the case maintains a slim profile and surfaced with a rubberized grip te8 Plusture. In addition the DuraClip cover features a raised lip keeping the screen elevated and scratch-free should it be placed face down on a rough surface. ✔ Encased is proud to be Amazon's #1 Belt clip manufacturer. Our "Extra Mile" pledge backs every purchase with a lifetime warranty and support from our dedicated team.